One element should be not be bulky. Wear pants with a streamline sweater or a quilted top with wide leg pants. Do not go superslim in any element. Skinny jeans and fitted tees are not suggested. 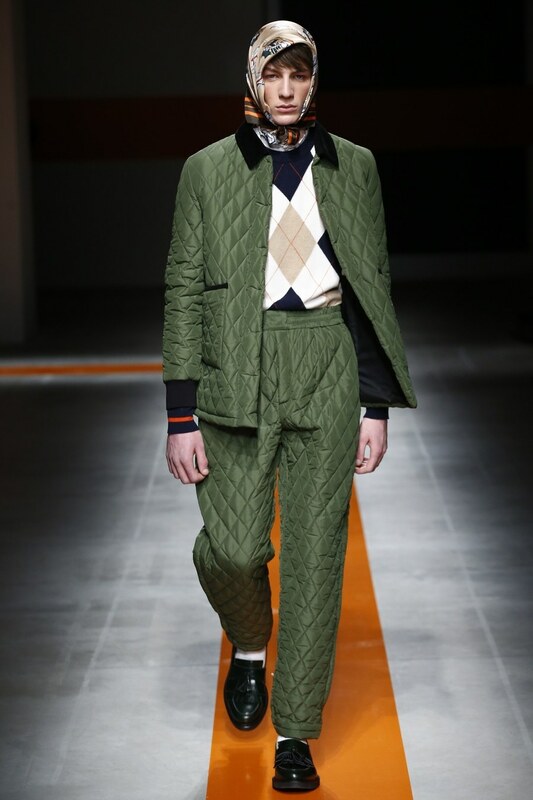 If the quilted outerwear passes your knees, do not wear quilted pants. 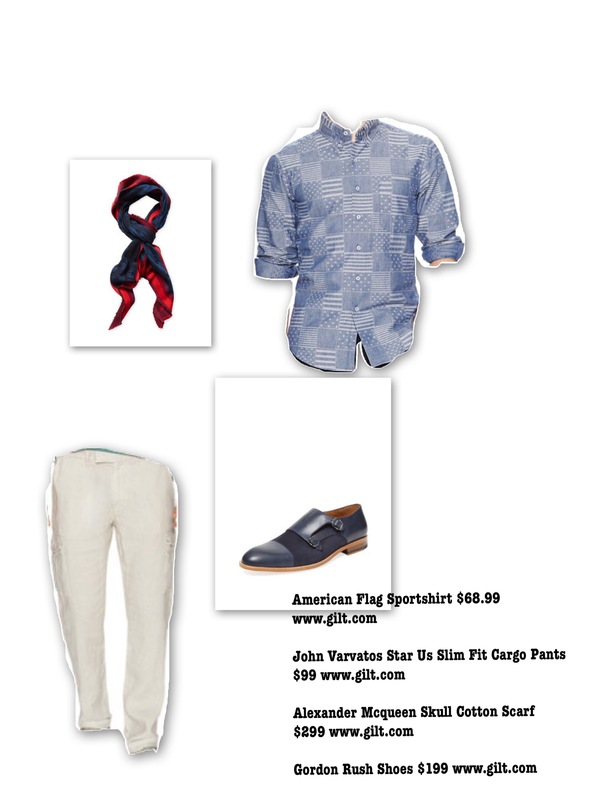 As always, if you try out this look tag us on instagram #tfgquilted and you could be featured on our instagram page. I drew inspiration from the modern day college student battling the everyday chain of emotions such as financial instability and mental health issues that lead to the possibility of becoming a college dropout. 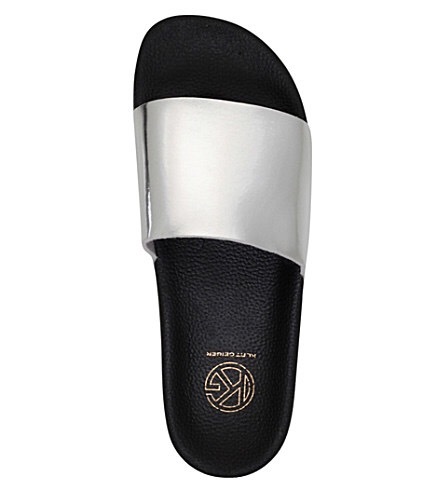 2 shoe brands – NEW BALANCE ATHLETICS and luxury shoe brand ANGELA MITCHELL. 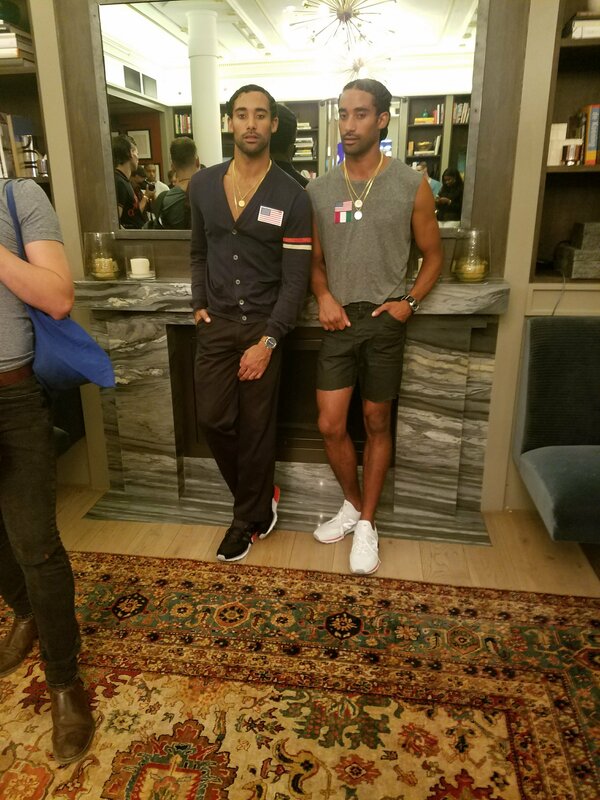 We noticed the use of neutral colors in the collection like creams, white and navy blues with red as the accent color in multiple looks. On the down side, there was a use of common patterns like plaids and cameo. We did love the tailored shirt that made the cameo less sloppy. 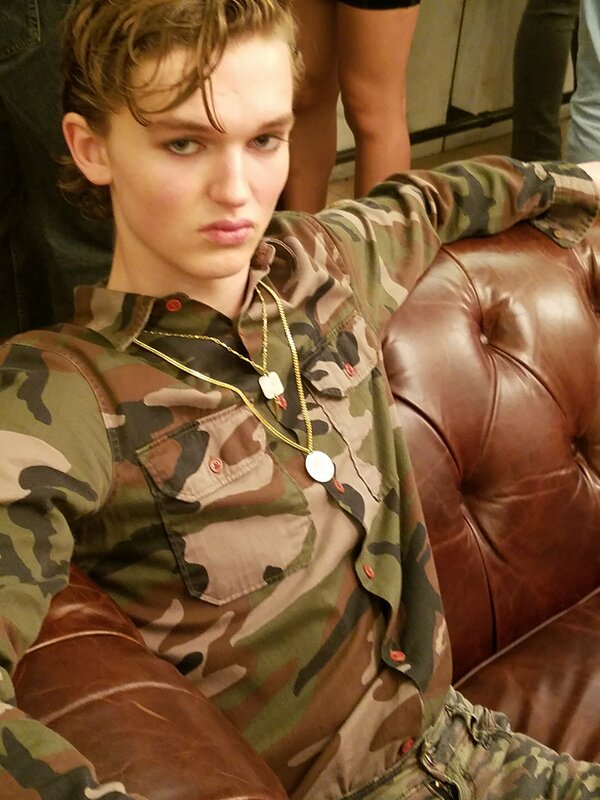 Currency NYC simple coin jewelry does not steal the show but it looks like dog tags on the shirt above. Finally, New balance debuted new sneaker line, 574 Sport. The splash of color on the heel is a nice touch. So that was one crowded room. Thanks to all the brands involved and a truly enjoyed installation. 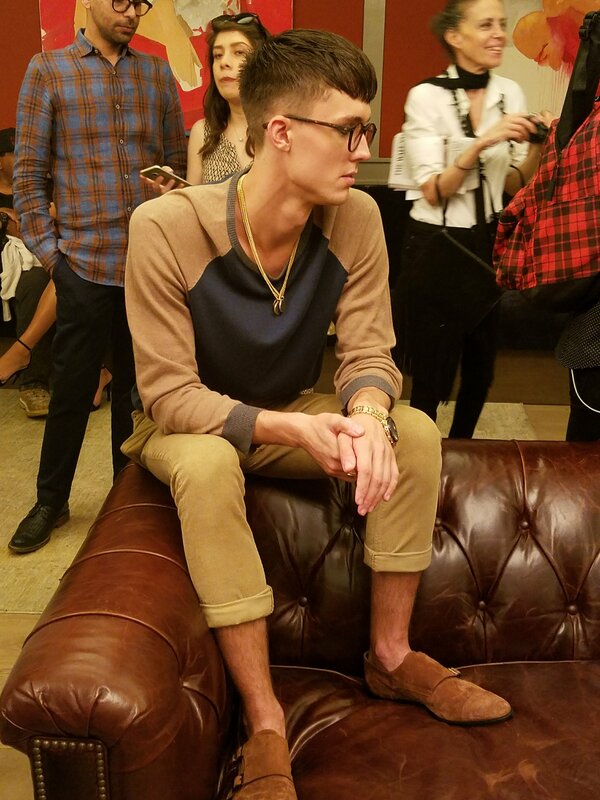 This style is popular in New York. I see it everywhere. I suspect because of its ease and low maintenance. The trick is to part hair and comb over before doing the fade look. 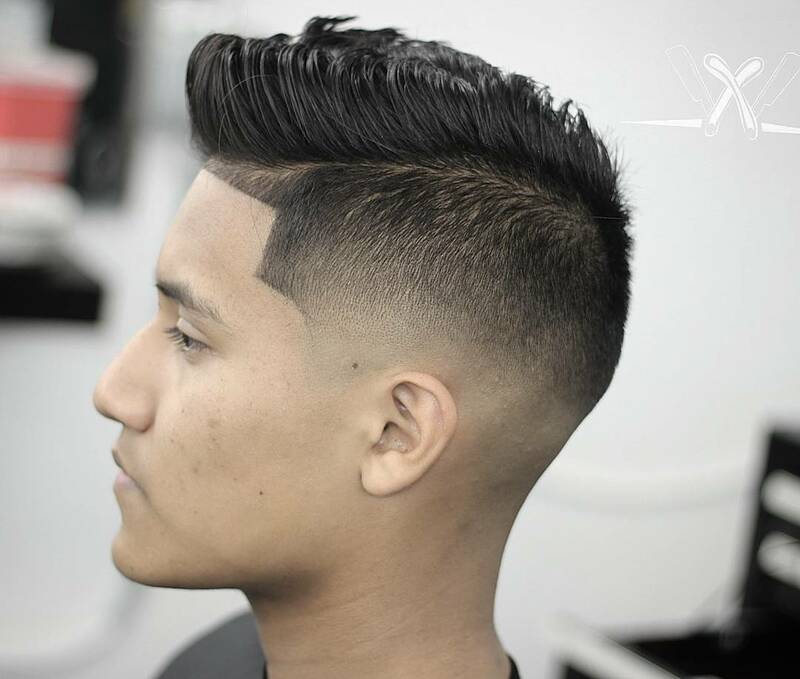 Whether, the sides or tapered (left) or burst faded (right); the faux hawk gets a redox for summer 2017. 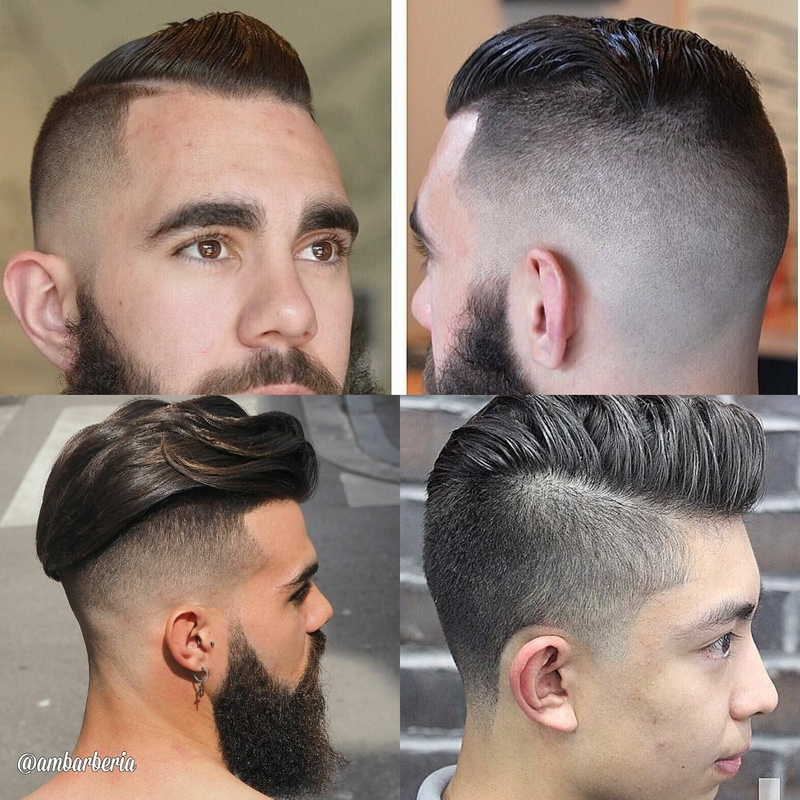 Here we have a variation in undercut styles from short pomp (top), long pomp (bottom left) and side pomp (bottom right). 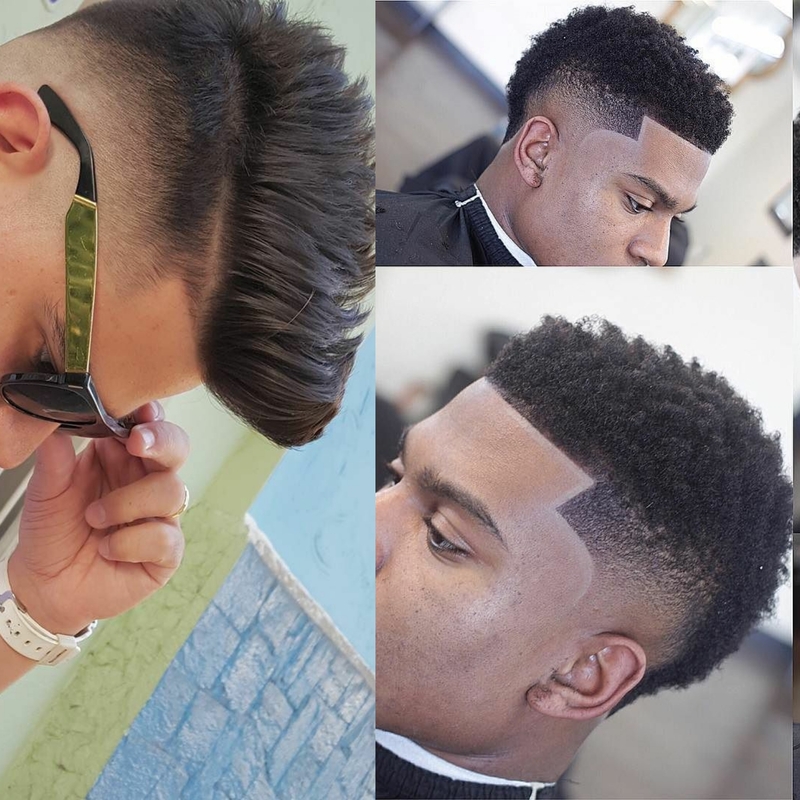 All in all, short hair is back with short sides rather you prefer tapering, surgery, fading or skin fade. 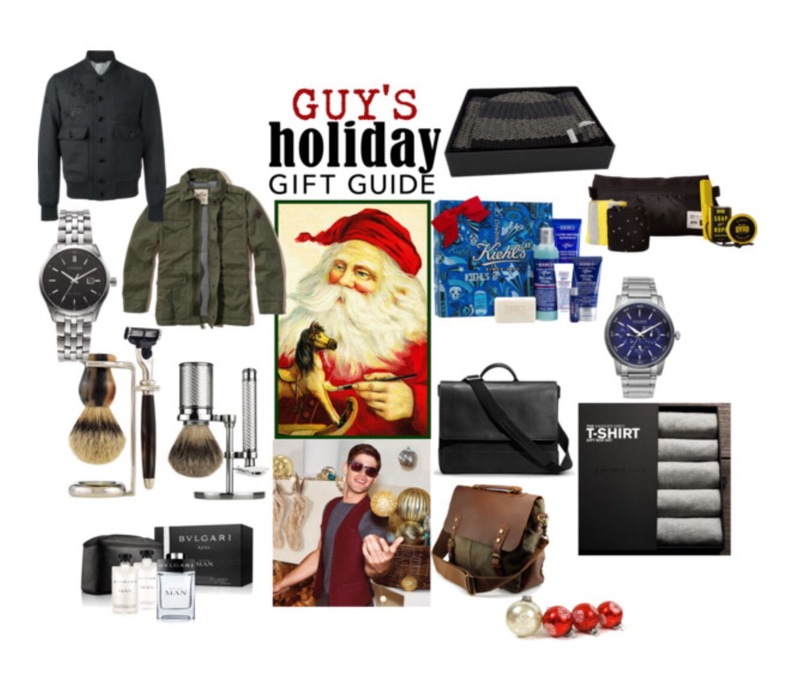 Shopping for gifts can be daunting especially if you want to get gifts for men in your life that aren’t your husband or boyfriend. These gifts we chose will put a smile on any guys face! Enjoy! Since its been a while I am bringing back get it for less and not forgetting our male readers! 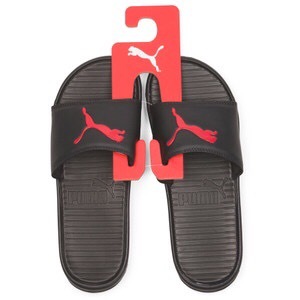 Sport Slide sandals have been everywhere and they really look good with almost outfit. 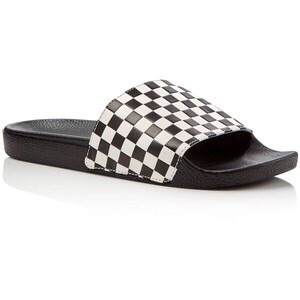 Guys can pair them with a suit sans tie and with shorts, tshirt and a varsity jacket for an updated sporty look. 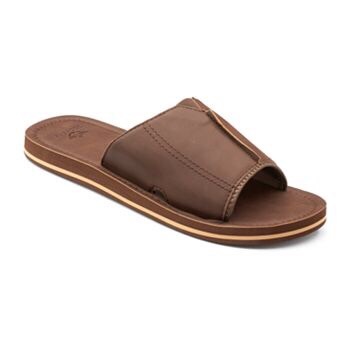 They are comfortable and flattering on anyone make or female but they can cost quite a lot when you get into high end brands; not every guy wa to to spend that much for something they mostly wear during Summer and to the gym so here are my picks and they will all be under $50! !